Writing Belle: The Nazis Are Coming: Bestselling UK Author Iain King! The Nazis Are Coming: Bestselling UK Author Iain King! If you were one my closest friends, you would know that I have more than a little bit of a fascination with the historical time period of World War Two. This, of course, means I adore Captain America and all of the movies and comic book plots. Which brings me to Iain King. He is the author of Secrets of the Last Nazi, a "mind-blowing conspiracy thriller," set during the earth-shattering events of the Second World War. I find the entire idea and historical setting positively alluring in terms of storytelling - and what a great cover! It really packs a punch. But who is Iain King? He has traveled to the Middle East on several occasions for the United Nations, and he has even co-written a couple of books about his experiences there (we talk more about that in the interview below). Check out the conversation we had below to learn more about Iain and his writing! Hello, Iain! Welcome to Writing Belle. Where are you from, where do you live now, and how did you become a writer? Thank you! 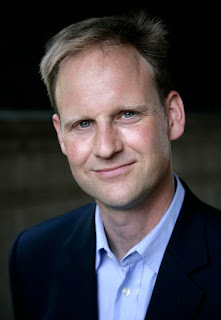 I was brought up in the West of England, and now live in London – although most of my working life has been abroad. I used to write non-fiction, but a friend – on her deathbed – told me to switch to fiction, and make her one of the characters in my stories. I dedicated ‘Secrets of the Last Nazi’ to her, and yes, as promised, the heroine has her name. What is 'Secrets of the Last Nazi’ about? It’s a book which blends fact and fiction; more of the book is fact than many people readers have realised. The secret itself has been described as “mind-blowing” – one American reviewer has said “What the secret is and where and when it originated comprise one of the most original and carefully thought out stories that have yet to appear in print.” I was amazed by it myself. Why did you choose to write about World War II? World War Two still dominates the way modern society thinks about war – just look at any programming schedule for the History Channel. I don’t think it should, as most people who’ve been in 21st century wars, in Africa or the Middle East, will agree. But World War Two was exciting and fascinating, and Nazis are the ultimate ‘baddies’. Tell me a little bit about the books that you contributed to: Making Peace in War and Peace at Any Price. Peace at Any Price was my first book, co-written with a friend. It’s a modern history of Kosovo, where I spent four years working for the UN. The booktries to make sense of the Kosovo war and the international intervention which followed, including what worked, what didn’t, and why. The very kind reviews for the book inspired me to keep writing. Making Peace in War came out last year. 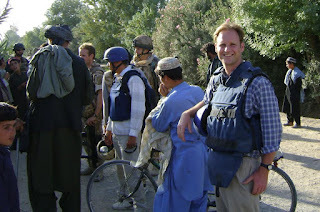 Several of us who’d worked in Afghanistan as civilians wanted to record our bizarre life out there, knowing we’d never face anything as unusual again. We wrote about our first-hand experiences - the ever-present toilet humour, what it’s like living with the military, life under siege and how we coped with attacks by the Taliban, and the close-to-home tragedies which happened far too often. There were only 37 who took on our particular frontline role during the decade-long war; we put the nine best personal testaments into Making Peace in War, and published it ourselves. Back to your novel: what is the trickiest part about writing a thriller? Giving the right amount of clues. Too many clues, and readers know what’s going to happen. Too few, and the book becomes a series of random events. It’s hard because, as a writer, you become too close to your own work. By extension, what is the trickiest part about writing a historical thriller? How much research did you have to put into the book? There has to be lots of research – I spend more time researching than writing. And you have to research every aspect of the story, although the research can be fascinating. For this book, as well as researching lots of stuff about secret Nazi programmes, I found a whole bunch of unexpected evidence that astrology really can make accurate predictions. It’s best if you can find data which has been hidden or covered up somehow, as well as facts people already know. What advice would you give those aspiring to write a historical fiction? Where can readers connect with you online (website, twitter, Facebook, etc)? Thank you so much for visiting with us. It was a pleasure! Thank you – it was fun! Iain King CBE has worked in sixty countries, including ten warzones, and has written non-fiction books about international affairs and philosophy. 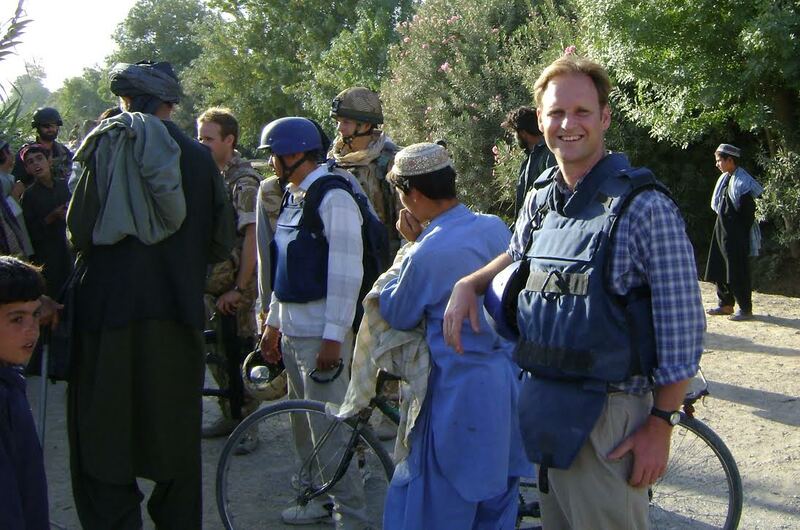 He coordinated the international civilian support effort in Benghazi during the 2011 Libyan war, and in Afghanistan served in more frontline posts than any other civilian, where he was frequently under fire. In 2013, he was made one of the youngest ever Commanders of the British Empire (CBE - an honour issued by the Queen, one down from a knighthood). Secrets of the Last Nazi has just become the bestselling spy story in the UK, and been classified by Amazon USA as a ‘Number One New Release’ in espionage. Sometimes such authors inspire my colleagues at custom service Writers Per Hour to write a reference book review and then post it to required blogs. sarwar good post shared here. 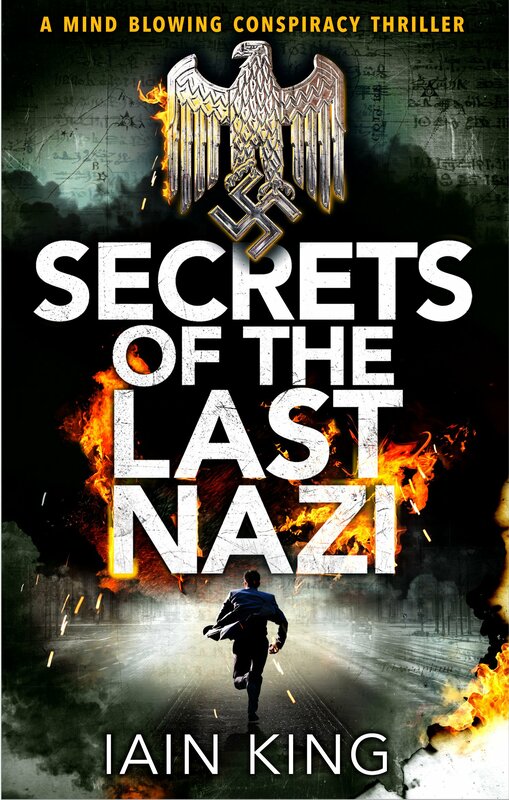 The book name which is "Secrets of the Last Nazi" which written by UK author. This book is actually a full action movie. I'm very impress after read this book and i must say that writer have amazing skills of writing. Iain King is the author of this book and he has worked for sixty countries which show your level of working. Actually, I need a person who can write my papers but like to happy read about this author.